Getting into the Halloween spirit already? 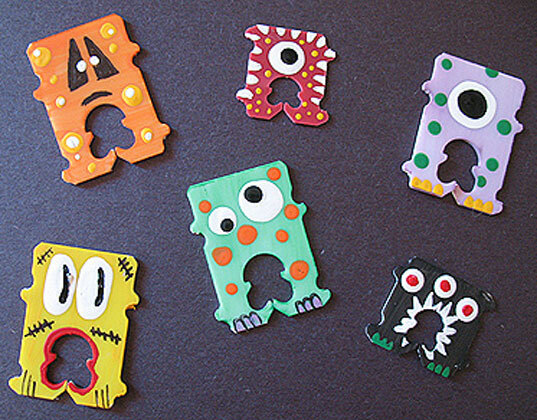 Turn bread tags into ghoulish monsters with the help of Crafts by Amanda. Simply Modern Mom and Little Lovely team up to show you how to create artful dream clouds on your child’s bedroom wall. Wondering what fish is safe for kids and better for the environment? Babble breaks it down. Coochicoos finds budget-friendly and eco-friendly paperless baby announcments that are better than your average e-card. Help your kids learn their A-B-Sea’s with an adorable poster of 26 fish found by Design Evolution.